New Westminster Schools has been providing a quality public education to our residents since the 1920’s. The New Westminster School District is committed to ensuring that our students become self-assured and self-sufficient adults who are wise, caring, creative and flexible and able to live successfully in an ever changing environment. 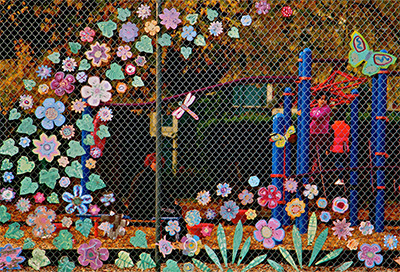 New Westminster is a small city and home to a broad mix of ethnic and socio-economic groups, leading to a unique diversity and vibrancy within our schools. From Kindergarten through to grade 12, New Westminster classrooms boast innovative learning and academic excellence as well as co-curricular opportunities for students. We deliver a wide range of programs and services offering Kindergarten to Grade 12 instruction through classroom, home and virtual education programs. Our district has one secondary school, eight elementary and three middle schools, including the third and final addition with the opening of our new Fraser River Middle School in September 2016. As a result, grade 6, 7 and 8 students across the district are now served by middle schools dedicated to programs for this early adolescent group. In addition to our 12 schools in the District, we are proud to have three Youth Alternate Programs: Sigma, offering flexible academic programming for students age 16-18; Power Alternate Secondary School with innovative and unique learning opportunities; and Royal City Alternate Program, supporting transition to both regular and alternate high school programs for students aged 13 to 15. Please visit specific elementary, middle school and high school webpages for more information. Use the catchment map to locate your catchment school and our flowchart for more information on which elementary to middle to high school your child will attend. Please visit our Registration pages for more information.